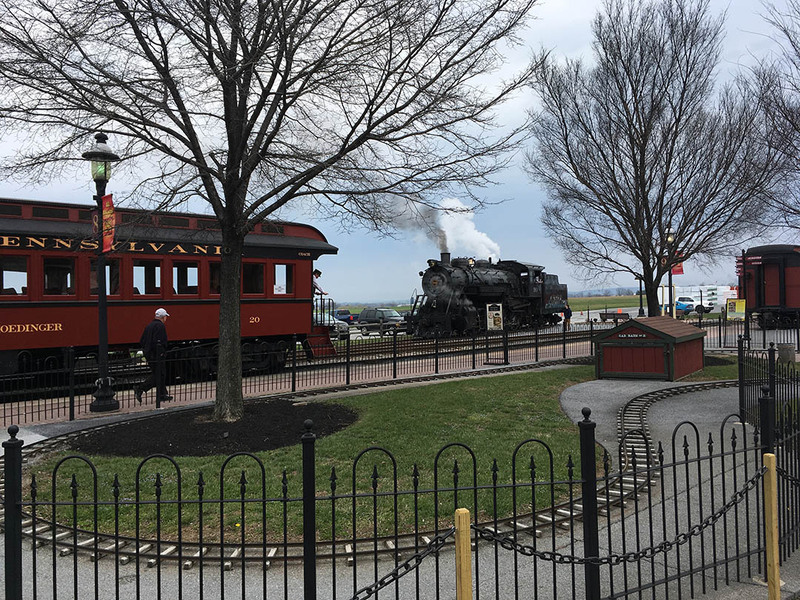 The Strasburg Rail Road hosted the HeritageRail Alliance 2018 Spring conference, with plenty of cooperation from the Railroad Museum of Pennsylvania, located across the street. Strasburg Rail Road and Railroad Museum of Pennsylvania face each other across the street. This photo predates the recent Strasburg shop expansion. Attendance exceeded expectations, with plenty of regulars present along with some interesting first time visitors. Among them were representatives of the new Nickel Plate Heritage Railroad, the Youngstown Steel Heritage Museum, the Locomotive 557 restoration and a fledgling preservation group from Corry, PA.
As with all conferences, Board Member Don Evans from West Coast Railway Association led an all-day strategic planning session. This is a continuous undertaking that started years ago with the Association of Railway Museums. It shaped the ARM/TRAIN merger that began in Strasburg in and ultimately led to the rebranding of ATRRM as HRA. Every HRA initiative was born from the strategic planning sessions. 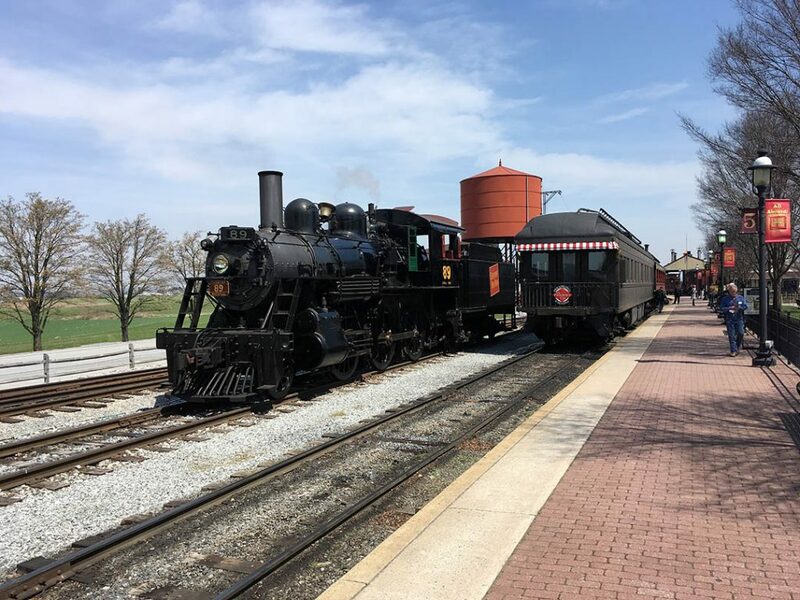 Highlights of the Strasburg Board meetings included a soft rollout of the new website, led by Marketing Committee Chair Donald Tallman of Colorado Railroad Museum and web consultant Kelly Lynch of the Fort Wayne Railroad Historical Society. While there are still website features to be implemented, the key portions are up and running. The HRA Board approved making most of the website content available for all to view, rather than placing it behind a members-only wall. Board members felt that requiring a user name and password inhibited usage and that an open site was a better marketing tool for HRA. For some time the Board has wanted to involve younger rail preservationists in every way possible, including as Board members. You may not know that there are term limits on Board membership–three 3-year terms. As existing members cycle off the Board, there will be a concerted effort to recruit younger people. 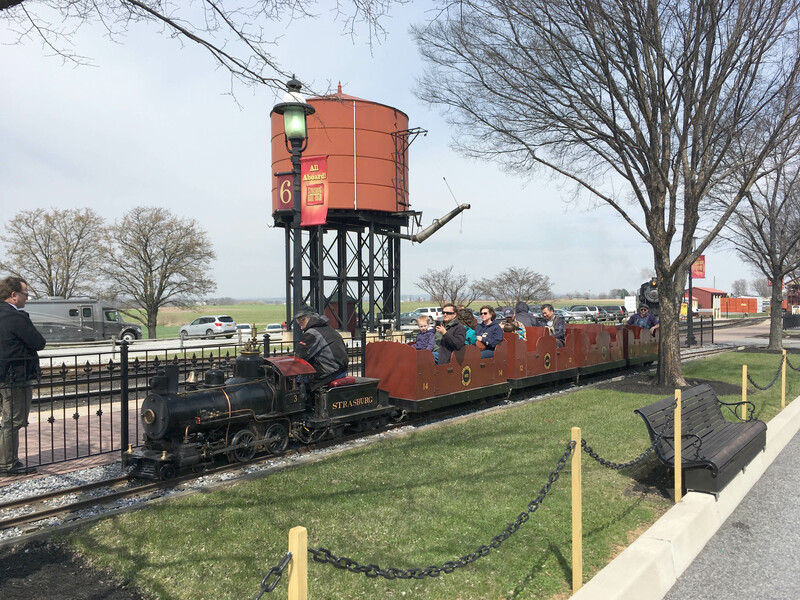 As an aside, Board Member Linn Moedinger announced that he will soon retire as the CEO of Strasburg Rail Road, ending a 50-year career there. A major new initiative is an economic impact study of the entire North American heritage rail industry. Politicians respect economic impact, and we have to be able to give them credible numbers. HRA has hired Stone Consulting, which has performed numerous similar studies for individual railroads and museums. We are asking all HRA members to help them gather the data needed for the study. There was plenty to see and do at the railroad. Decapod #90, Mogul #89 and 4-8-0 #475 were all under steam. Trains left every half hour. SW7 diesel switcher #8618 was working the yard. Unusual Lancaster, Oxford & Southern doodlebug #10 ran short shuttle trips. The LO&S doodlebug shuttled to the rarely visited south end of track. The 15-inch gauge Cagney 4-4-0 ran from one end of the station area to the other and pump hand car rides were available. Strasburg even managed to schedule a steam powered mixed train when Norfolk Southern dropped eight cars at the Leaman Place interchange. 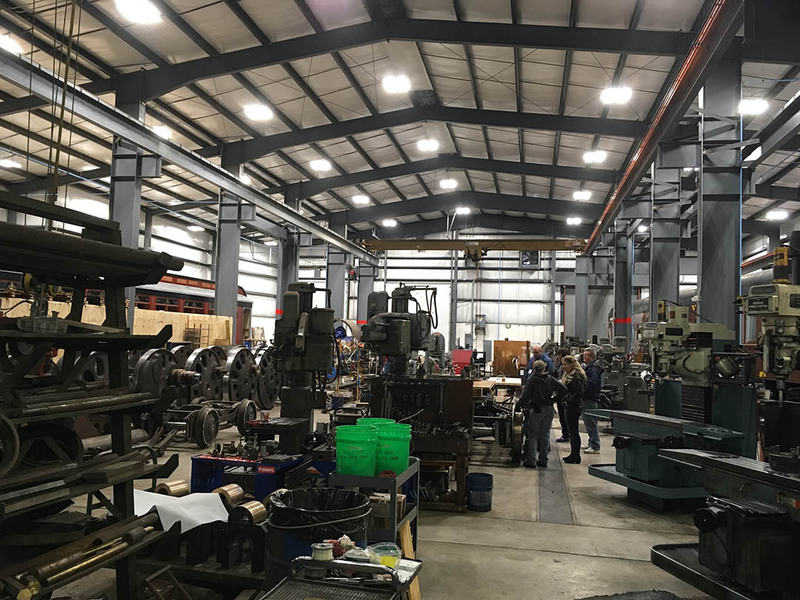 Beyond riding and watching all this, we were treated to tours of the restoration shop. 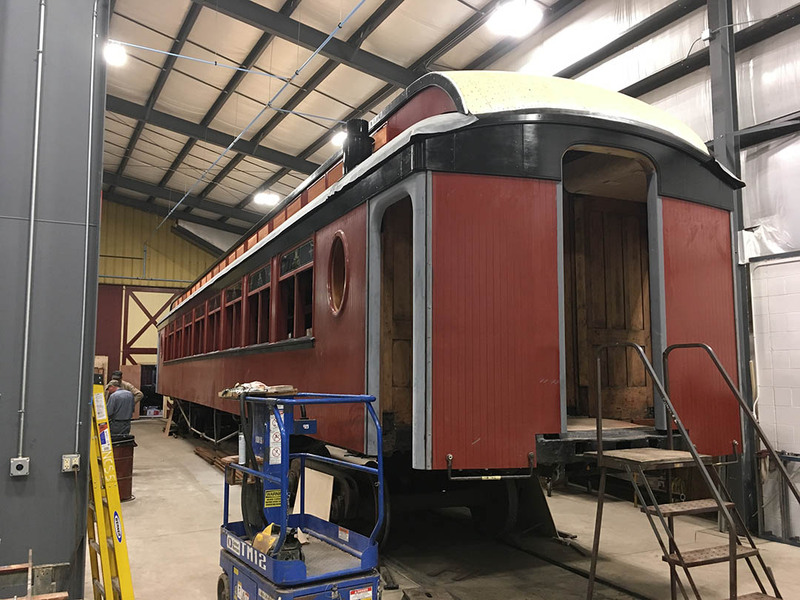 Besides restoring and maintaining its own rolling stock, Strasburg does a great deal of contract work for others, so much that it expanded its shop in 2017. Current projects include Rio Grande Southern narrow gauge 4-6-0 #20 for the Colorado Railroad Museum, Hammond Lumber 2-8-2T for the Timber Heritage Museum, drivers from Boston & Maine 4-6-2 #3713 for Steamtown, a pilot truck from Florida East Coast 4-6-2 #148, plus a couple of projects that we were asked to keep secret. Drivers from B&M 4-6-2 #3713. Also in the shop is Baltimore & Ohio wood coach #4281, which is being completely rebuilt. 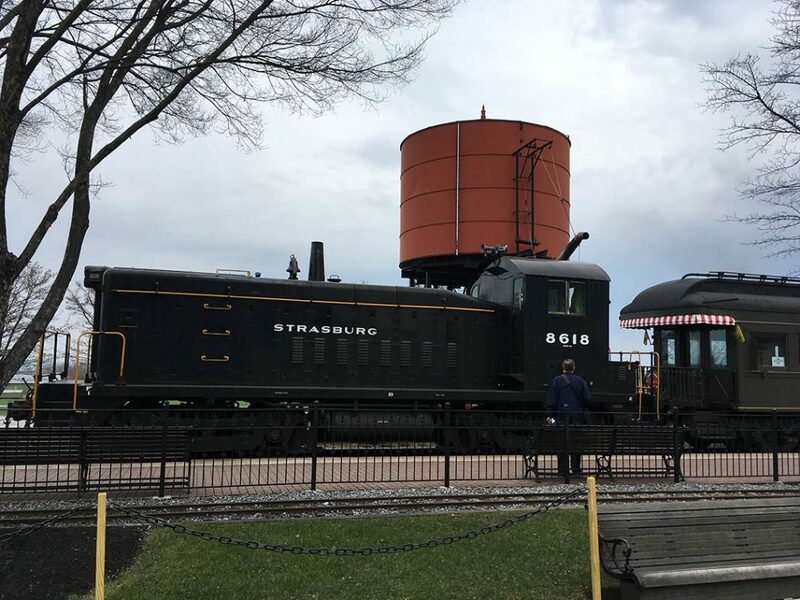 Hauling tourists in 100-year old wood coaches behind steam is not the easiest way to turn a profit, so Strasburg has reentered the freight business, which had almost completely dried up. They did it by opening a transload facility. The transload facility and one of the unrestored cocooned cars. In 2017 they hauled about 300 cars, and are shooting for 500 in 2018. 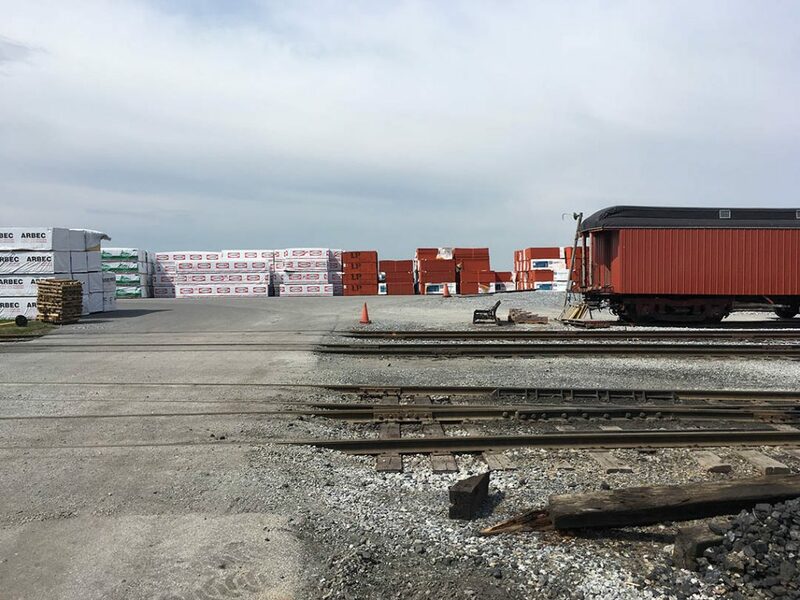 Freight allowed the railroad to qualify for state grants for track and bridge work, and portions of the line are in the best shape ever. Part of the line rehabbed thanks to a state freight rail grant. 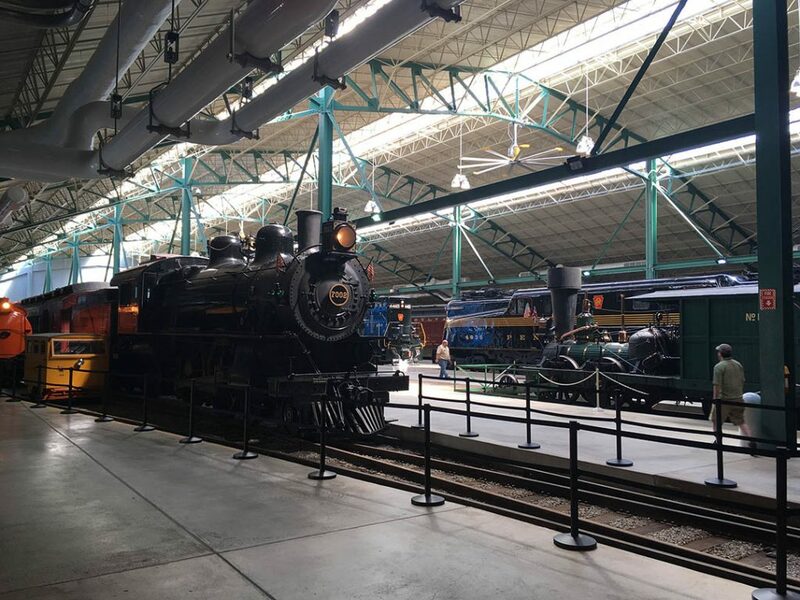 Viewed together, the Strasburg Rail Road and the neighboring Railroad Museum of Pennsylvania (RRMPA) make everyone’s Top 10 list of North American heritage rail attractions. The Strasburg is the operating side, with steam, beautifully maintained wood coaches and periodic freights, both modern and vintage. RRMPA has one of the finest static display museums anywhere. Pennsylvania was blanketed with railroads, and also home to many important manufacturers. All are represented in a collection that is comprehensive, and includes many rarities. The exhibit hall was built in two parts. The older, western half has a lower ceiling and is noticeably darker than the brightly lit east section, which has skylights and a higher ceiling. Contrast the lighting in the older and newer halves of the exhibit hall. All the rolling stock in the exhibit hall is beautifully restored. The outdoor area is a different story. 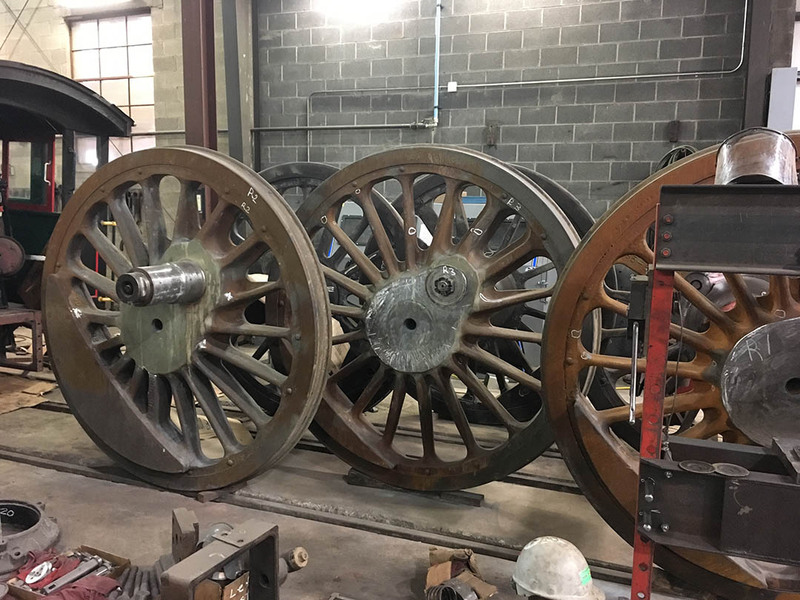 Its yard is full of unrestored pieces, several clustered around a turntable that will serve a future roundhouse. The roundhouse construction is funded, but construction has not begun. 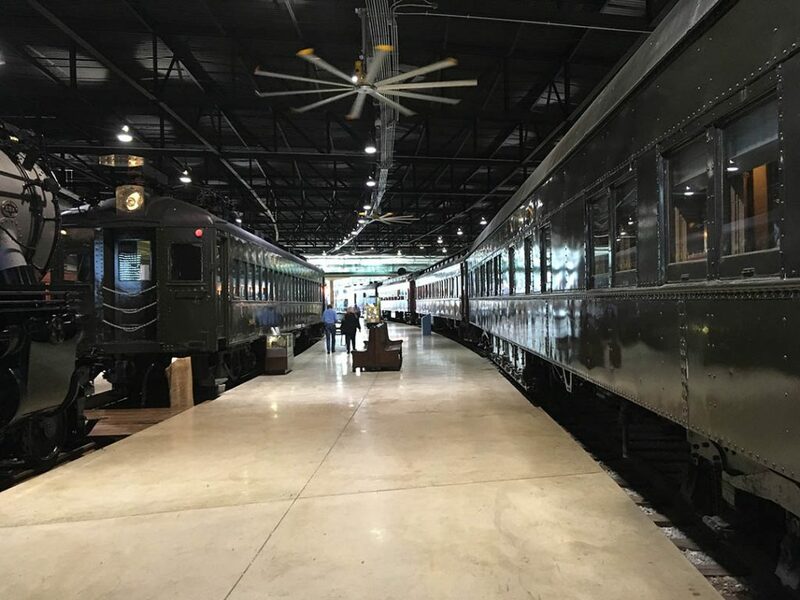 It’s expected to open in 2-3 years, and will initially house six locomotives, all from the Pennsylvania Railroad’s corporate steam collection. More stalls will be added as future funding becomes available. I interviewed RRMPA Director Pat Morrison, who recently assumed the position after 22 years on the staff. In 2017 the museum had 118,000 visitors, up the last couple of years but below the 2001 peak of 165,000. The attendance number says something about the public’s tastes in rail preservation. 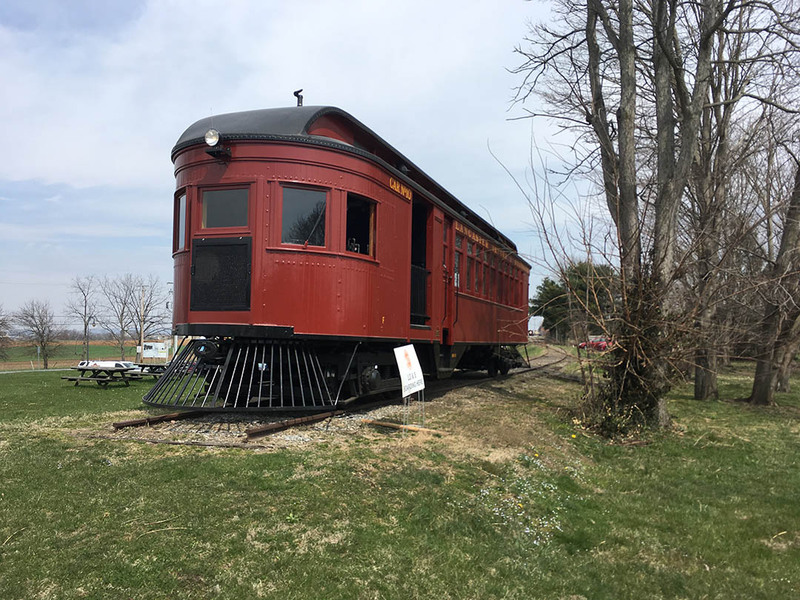 The Strasburg Rail Road carries about 300,000 each year, yet fewer than half walk across the street to visit RRMPA. That seems to indicate a preference for operations compared to static display. Strasburg hosts Thomas the Tank Engine three times a year, so maybe the limits of small children’s attention spans are a factor. RRMPA next big project is a complete redo of its exhibits. Besides the rolling stock, there are currently smaller displays randomly scattered around the exhibit hall. The museum wants to place them in a more cohesive pattern relative to the rolling stock, and add more interactive displays. 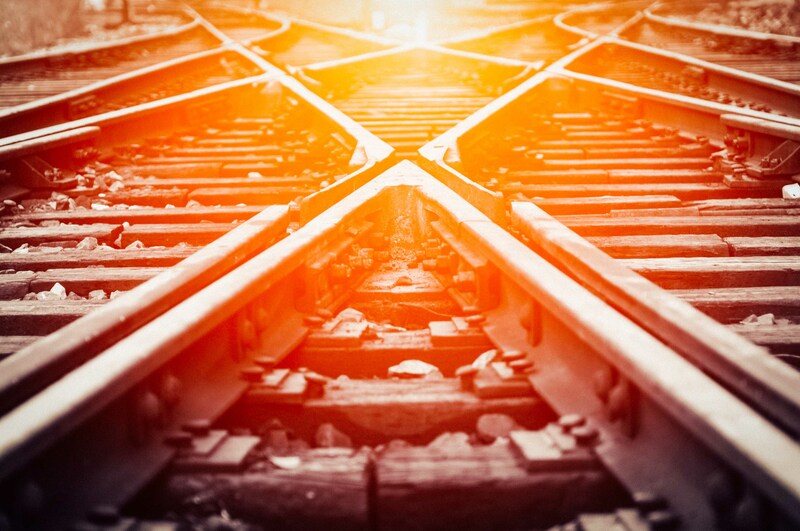 The overall theme will be “How railroads changed our lived forever”. 4-4-2 #460 (PRR Juniata Shops 1914). It’s tempting to think of a cosmetic restoration as little more than scraping some rust and painting. It’s way more ambitious than that. I attended the seminar on the restoration and was amazed at what they had to overcome. Because of years sitting outside, there was rust everywhere and inside everything. All of it had to be blasted off to prevent it from continuing to spread. All the sheet metal was Swiss cheese, including the tender sides and cab roof, and much of the other steel was severely deteriorated. The entire project cost $393,000. It set the pattern for the other six PRR steamers that will occupy the roundhouse. Up next is 0-6-0 #1670 (PRR Juniata Shops 1916). Besides the roundhouse construction and exhibit redo, the only current shop project is a Central of New Jersey 1890s crossing shanty. The museum has also just acquired three more acres of adjacent land that will allow it to increase its outdoor display area. Recently RRMPA agreed to deaccession a major piece. 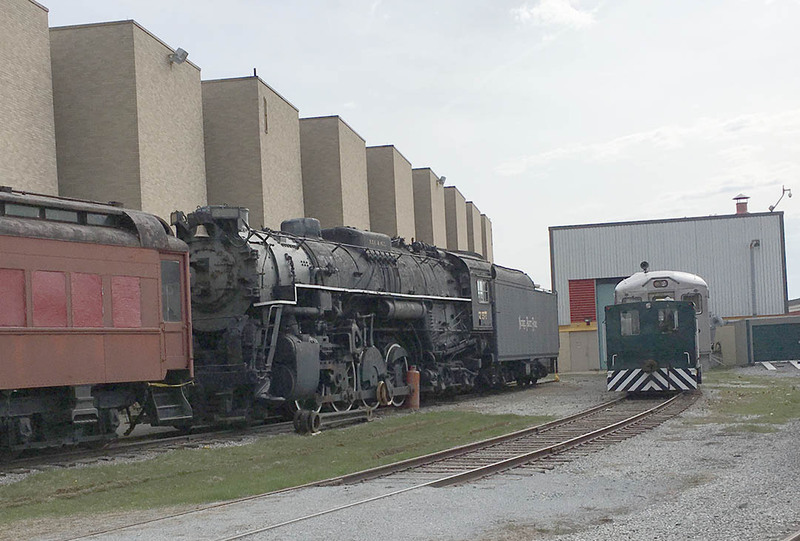 Nickel Plate 2-8-4 #757 is going to the Mad River & NKP Museum in the Bellevue, Ohio, the hub of the Nickel Plate. Here it is parked outside the shop. For a gallery of photos from my visit to RRMPA, see Photo Section. Thanks for the mention! I certainly enjoyed the conference and meeting the many other people who are in the railroad preservation industry. Looking forward to attending again in the future.